Walk-in for HR Recruiter at XL Dynamics India Pvt. Ltd. The selected candidate will be a part of the HR team who will partner with business managers to meet the evolving people needs of the organization. The main responsibility for this role is to source and identify top talent, fill all job openings and perform general HR duties as assigned. Educational Qualification: Minimum requirement is a graduate degree. Venue 2: XL Dynamics India Pvt Ltd.
Venue 5: XL Dynamics India Pvt Ltd.
Venue 7: XL Dynamics India Pvt Ltd.
Job Requirement: We need a dynamic and flexible person who is ready to work in multiple domains/projects on short notice. The candidates should have 2 to 3 years of experience in CAD design. Domain knowledge in automotive domain, welding fixtures, GD&T, Die design preferred. Working knowledge of softwares such as Catia V5/V6 and Creo parametric softwares is must. B.Com Graduate / MBA (Finance) Completed / M.Com Pursuing or Completed Freshers as well as experienced (6 Months to 1Yr) can apply. 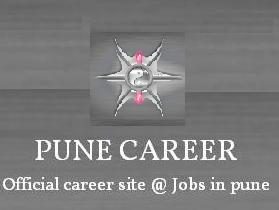 Work Location is Giga Space, Viman Nagar, Pune. Over 4 to 8 years of experience in Truck Storage (above windshield) and Interior systems design & development. Design and Development responsibility for Truck slush and form parts in IP and Storage Area above windshield. DMU (Digital Mockup) investigations of developed and surrounding area. ——————————————- TechnoTroniX Solutions Pvt. Ltd.
We have opening for Business Development Executive (BDE) – Sales Executive. -Excellent communication skills (written and verbal both). Vacancy in Microlise india , subsidery of Microlise uk. • Streams : Electronics and Communication Engineering (ECE) / Electrical and Electronics Engineering (EEE) / Electronics and Instrumentation Engineering (EIE) only. Salary Range : 200000-250000 P.A. Salary Range : 3.24 to 8 Lakh P.A. Provide competitive market research and analysis support Help with collection and synthesis of quantitative and qualitative data from Different Marketing Campaigns. Assist with advertising and marketing promotional activities including social media, mobile, mail, e-mail, web, telemarketing,and print media.Work with various databases. Should have knowledge of Linkedin usages. Hands-on Expertise on Keyboard.Should be able to attend marketing event and Seminars and Comfortable to explain Company products in front of client andtarget ordinance. Walk-Ins at Onward Technologies Ltd. Direct Walk-In for fresher at Oxcytech System on 04 September 2016 Sunday. It gives us pleasure to inform that Reliance Jio off campus Recruitment drive for 2016 batch is scheduled on 02-09-2016 at 9:00am at Pimpri Chinchwad college of Engineering (PCCOE), Nigdi, Pune. Harbinger is hiring Freshers from the 2015 and 2016 batch. MCA/ MCS/ MSc/ BE (CS/ IT/ E&TC/ Electronics). Minimum 58% in 10th, 12th and Masters/ Engineering without any gap in education. Interested candidate can share their CV’s on the given email ID. Salary CTC 15000/ to 17000/- + Incentives Contact Person: Anshu Contact No. : 020-66243193 Walkin Interview at: Intelenet Global Services, Alpha-2, 5th Floor, Giga Space IT Park, Viman Nagar, Pune-14. Looking for SAP Basis with Min 3.5 Yrs expereince. SAP and OS Administration Operations. Experience / Knowledge on different database (Oracle/MSSQL/DB2) and OS (Linux/AIX/Windows). Experience in different SAP products ECC, SCM, SRM, BOBJ, Portal, Solman. with the job code in the subject line. 1) RIVIGO is hiring 2015 & 2016 Batch candidates for All branches. Initially Joining will be in Gurgaon for training of 3-4 days, post training you will be posted to any of the location in India. BE-BTech or ME-MTech – 2015 or 2016 Pass-out only. – Engineering STREAM : Computer Science/IT only. Venue: – RAHITECH SOLUTION PUNE! Tata Technology : Mega Drive for Engineering, Research and Design Skills at Tata Technology. Dear All,Greetings from CENTRAL PLACEMENT CELL of Pimpri Chinchwad college of Engineering & Research (PCCOE&R), Ravet, Pune & Pimpri Chinchwad college of Engineering (PCCOE), Nigdi, Pune ! !We are conducting following 6 Off Campus Recruitment Drives (which are open for all the students from across the country) in next few days. Interested & eligible students should apply on the given links wherever they are eligible.1)Company : ADPDate : 25/06/2016Time : 10:00amVenue : PCCOE, Nigdi, Pune (Not PCCOE&R, Ravet).Eligibility : 2016 Batch BE/Btech(CSE/IT/ECE) 60% through out in their 10th,12th & Engg. Venue : PCCOE, Nigdi, Pune (Not PCCOE&R, Ravet). Venue : PCCOE&R, Ravet, Pune (Not PCCOE, Nigdi). Criteria of 55 % in Graduation no live backlog, No Year down. Candidates MUST have 60% and above in 10th, 12th and should have 58% & above in 5th Semester UG.